There are some of the apps that are hardly avoided by any individual. It is not quite surprising that every day a lot of apps are born on all of the mobile platforms. Yet people want to go one step further from where they presently exist. 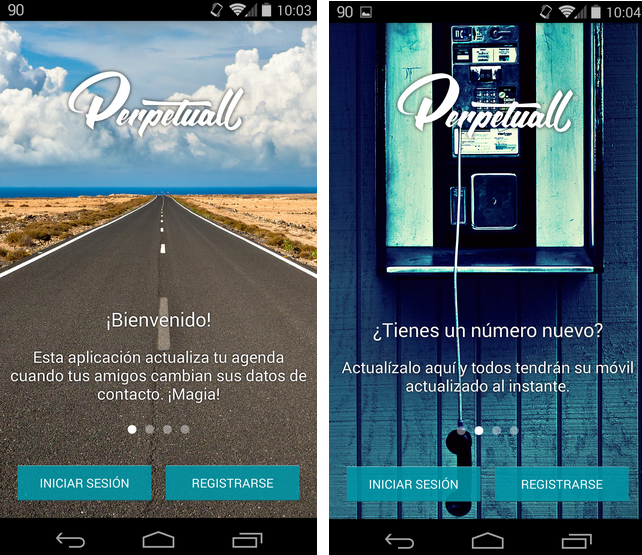 Perpetuall is the app, an addition for your address book, which always aims to update it at the time when your contact persons edit or put in some extra information. In other words, if one of your associates changes phones to have another new one or edit an email address or some other info, you just need to install this Perpetuall and this will automatically renew the contacts’ data. 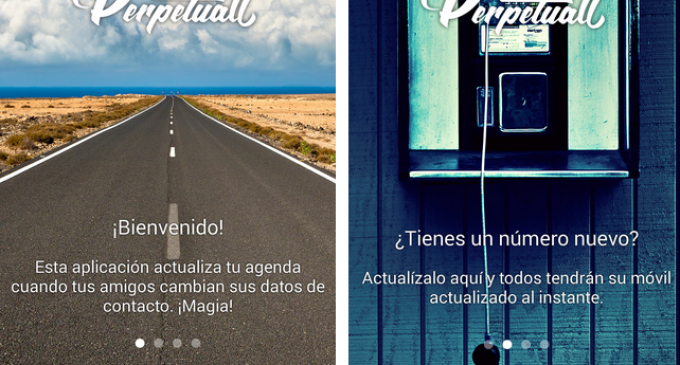 The app is made by Spanish developers. And keep in mind that Perpetuall is not your phonebook but a feature, which updates your program to keep up all of the current data daily. The process of using thing thins app is very simple and there is no download charge or any other hidden charge for this app. However to use it you have make a short registration process in which you have to give your name, your own email address and its password and also the phone number. Within the app you can see various sections, where you can see the data updated. Even the individuals or your contacts who have installed this app can be invited by you. The app will allow the users to download for Android by clicking the icon of Google Play at first. However if you wish to download for iOS then you have to choose iTunes. Perpetuall that is the contacts updating app, wants the users to merge their contact details for example Email ID or the mobile number along with some other contact info in order to make certain that the given contact details are authentic and to sort out the spam contacts. It also aids to synchronize all your mobile contacts with that of email contacts. In addition to it, the Perpetuall app enables the users to stay away from security problems and users impersonation There may various applications just like Perpetuall which shows similar elements but they may not be much dependable and we never commend you to do so. Moreover one of the prominent features of the app is if you upload your photo in your created account, your associate will your picture at the time of your calling to them. One of them is confirmation of the mobile number by means of SMS. The code, which will be given to the user will be entered within the app. Official ROM is also needed. Device compatibility can be found in Android 2.3.3 or the newer version. Perpetuall is one of the most secured apps not only for the security of the user’s data but also for the fact that it is not virus affected app. After your installation you do not need to be concerned any more as the whole process of update will be done by the app itself.